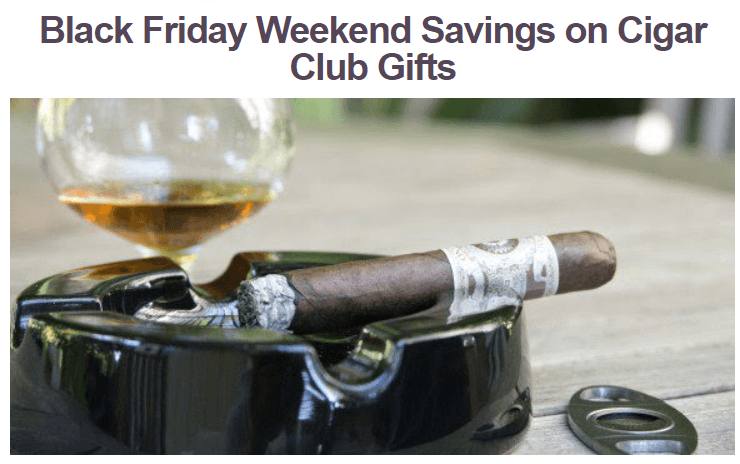 Home › Deals › Black Friday Discounts on Cigar Clubs! The first discount we’ve found comes from our Editors’ Choice winner – Premium Cigar of the Month Club. Starting now through November 7th, you can save up to $30 off your membership! Plus, this is one of the few times you can save on a 1-month plan – so take advantage! We’ll keep this page updated as we find more discounts, so check back often!